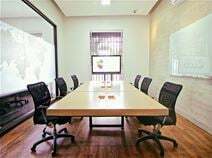 This office have really open areas, all connected with balconies and is also walking distance to the river and the green of the trees that surrounds the office. This office also has a pool that recreates your visual sensation. Being located in the west of Cali, the climate is very pleasant: winds that will refresh you from the tutelary hills and the sound of the Cali River that you will feel being at this office. 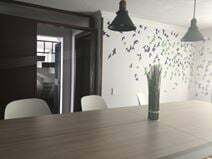 This large business center location in Cali-Colombia is situated within the traditional neighbourhood of Minaflores and provides an expansive, vibrant, contemporary and well equipped co-working space that offers a range of hot desking options, in addition to numerous dedicated and private office space solutions on offer to all occupants. The local transport links are also excellent, with frequent road and rail services in operation. This centre is situated in an exclusive area in the financial district and commercial centre of Cali. Close to clinics, shopping centres, hotels and restaurants, this centre offers hi-tech infrastructure, open plan offices, private offices and more.